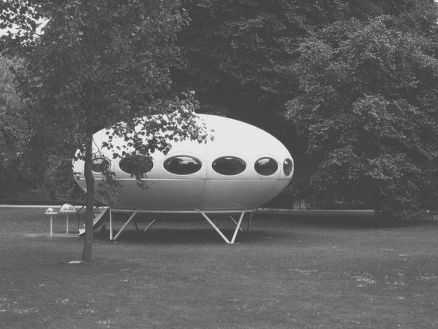 This rather nice black and white photo of this Futuro during its short stay at Botanic Gardens came up in a search I ran recently. The photo is on Pinterest but it originates from a Flickr post by Well Finished Photography [though the Flickr account, or at least the photo, appears to have gone]. 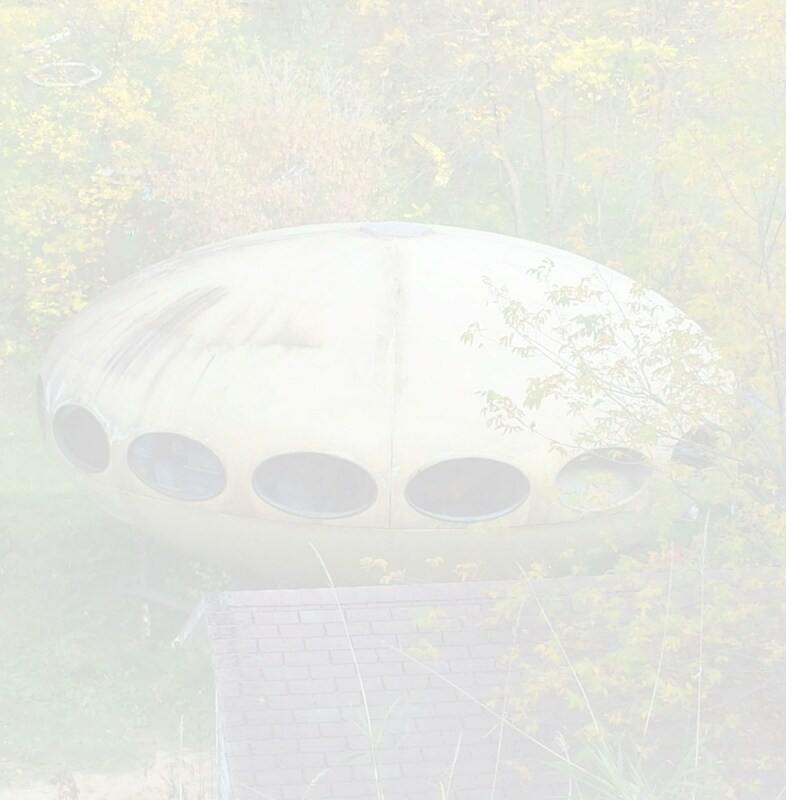 I recently came across this video, titled UFO Capture, that was posted to Vimeo by Robert Hood. The description for the video is "Futuro house, 2007, Christchurch, NZ" and it shows the Futuro loaded onto a truck; given the 2007 date this would be at the time the Futuro was being removed from the Botanic Gardens. The video appears to be footage from a static camera, perhaps a security camera. The truck at first glance appears different to that seen in these photos which show the Futuro loaded and ready to leave the Botanic Gardens. That said I have always thought the "flat bed" seen in those photos was a little unusual in that appears to be one that can be raised and lowered and this video seems to confirm that idea; other than the height it does look to be the same. Perhaps the design of the "flat bed" is such that it could be driven under a load in the lowered position and then raised for transport. This video footage appears to me to show the "flat bed" located under the Futuro prior to raising it. 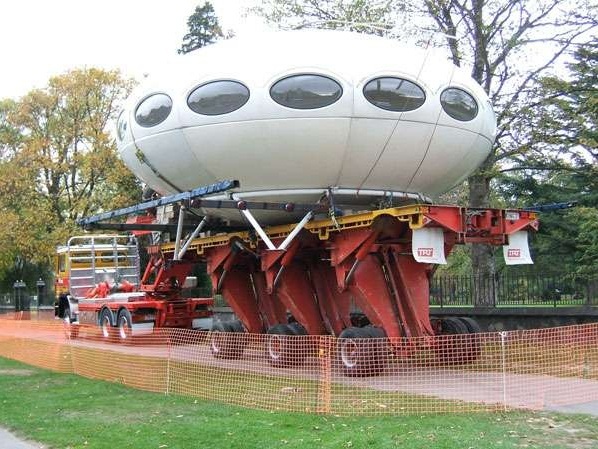 Presumably this avoids the need for a crane to load the Futuro ready for transport. 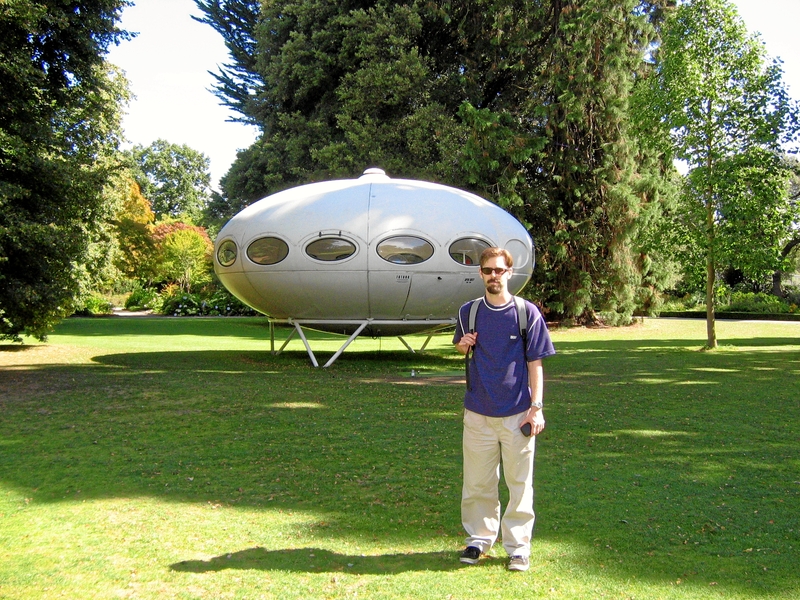 Alexander Larcombe recently sent me two great photos of this Futuro taken 032007 while it was at the Christchurch Botanic Gardens. They are displayed here with Alexander's permission - thanks Alexander. have kindly given me permission to display two very cool photos of the Futuro loaded up and ready for road transport from Christchurch to Harewood. The King House Removals website has a couple of images of the Futuro on a truck for transport either to or from the Christchurch Botanic Garden - images 9 and 9.1 in the gallery [it is unclear whether the images relate to transport prior to or after the period the Futuro was on exhibition at the Botanic Garden]. 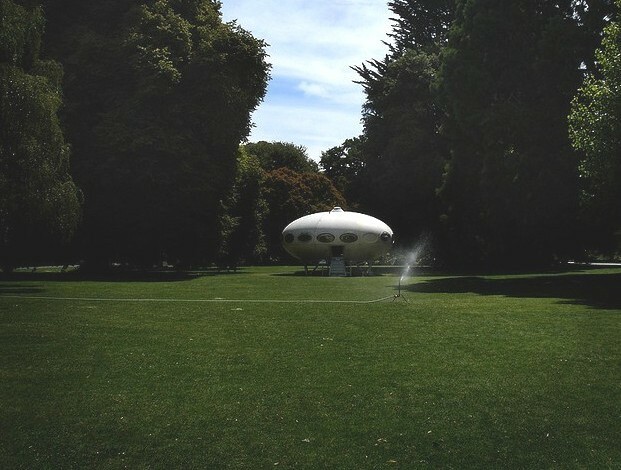 It appears that this Futuro made a stop at Cathedral Square, Christchurch to be a part of an Animation Festival prior to its arrival at its current location in Harewood. Check out the Harewood page for the details. 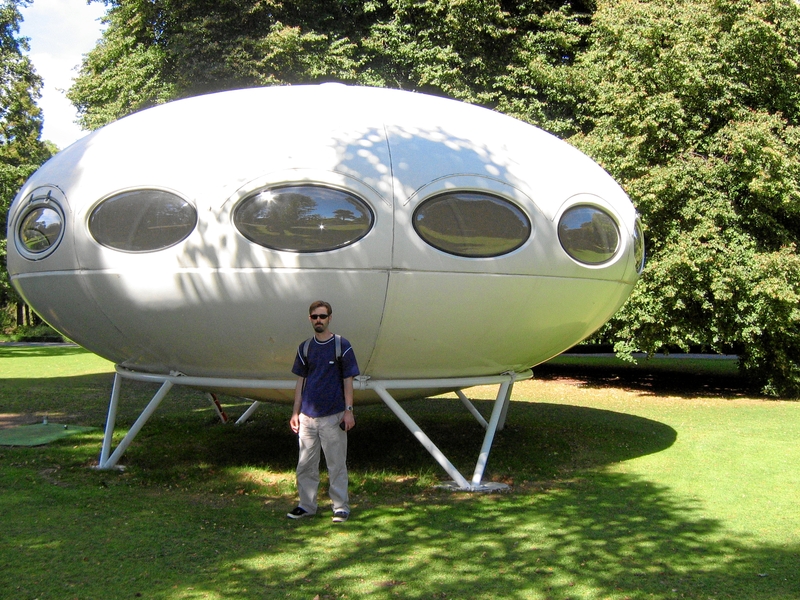 Thanks to some info provided by Achim Breiling I now know that this Futuro was located at 6 Fordingbridge Ln, Bexley, Christchurch 8061, New Zealand prior to it being moved to the Botanic Gardens sometime 2006. 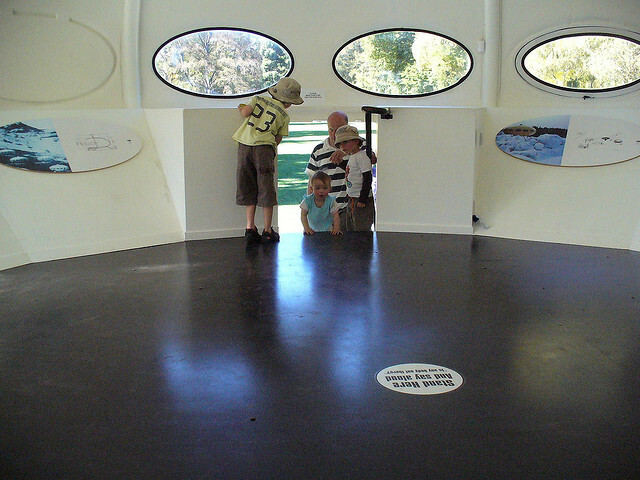 This Futuro was on exhibition at the Botanic Garden in Christchurch, New Zealand during the summer of 2006/2007. Some reports suggest the exhibition ran Dec 2006 to Feb 2007 but the exact dates are unclear; the Futuro was on site at least through March 17th per James Blackman's image. As luck would have it I was able to identify the precise location the Futuro occupied even though it was there for just a few months; Google Earth contains imagery dated 011307 which clearly shows the Futuro on site. 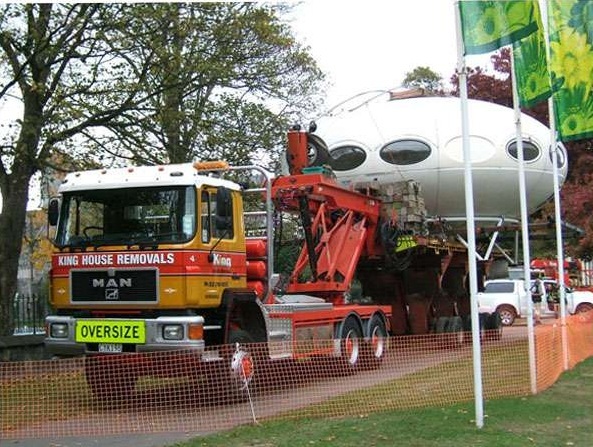 The Futuro was transported by King House Removals who display a couple of cool images of the Futuro on a truck on their website. 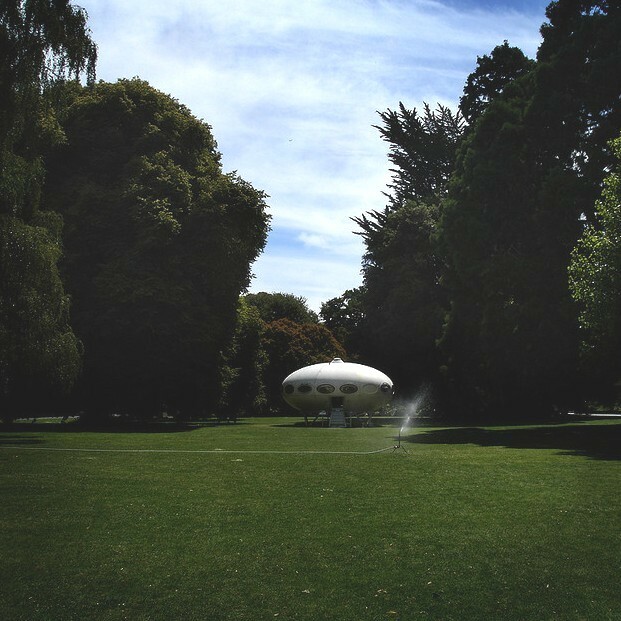 It is unclear whether the images are from the transport to or from the Botanic Garden though it would be reasonable to assume the same company transported the Futuro using the same method on both occasions. 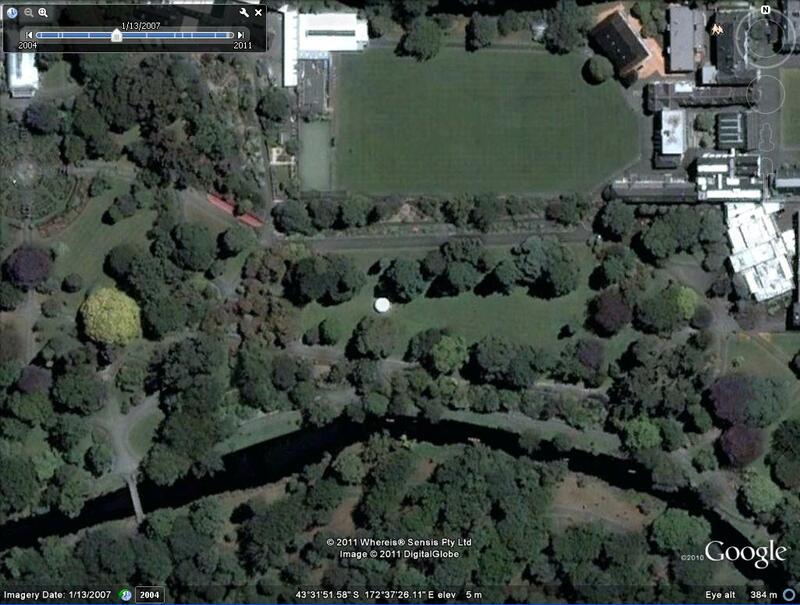 I have been unable to establish where the Futuro was located prior to its time at the Botanic Garden but when it was removed at the end of the exhibition it was transported to 12A Mcleans Island Rd, Harewood 8051, New Zealand To date it remains at that location, the Christchurch Yard of King House Removals where, as reported in a comment on the blog Christchurch Modern, it remains in storage.